Start in Debian, Ubuntu, or Linux Mint. If you already certified the Tails signing key with your own key, you can skip this step and start downloading and verifying the USB image. In this step, you will download and verify the Tails signing key which is the OpenPGP key that is used to cryptographically sign the Tails USB image. 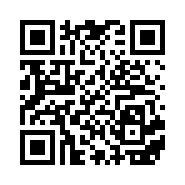 To follow these instructions you need to have your own OpenPGP key. To learn how to create yourself an OpenPGP key, see Managing OpenPGP Keys by Riseup. This verification technique uses the OpenPGP Web of Trust and the certification made by official Debian developers on the Tails signing key. Learn more about the OpenPGP Web of Trust. Here, sig!, with an exclamation mark, means that Stefano Zacchiroli verified and certified the Tails signing key with his key. It is also possible to verify the certifications made by other people. Their name and email address appear in the list of certification if you have their key in your keyring. If the verification of the certification failed, then you might have downloaded a malicious version of the Tails signing key or our instructions might be outdated. Please get in touch with us. The line 175 signatures not checked due to missing keys or similar refers to the certifications (also called signatures) made by other public keys that are not in your keyring. This is not a problem. Doing so allows people who verified your key to verify your certification and, as a consequence, build more trust in the Tails signing key. In this step, you will download the latest Tails USB image and verify it using the Tails signing key. The date of the signature is the same. The signature is marked as Good signature since you certified the Tails signing key with your own key. Make sure that the USB stick on which you want to install Tails is unplugged. Plug in the USB stick on which you want to install Tails. All the data on this USB stick will be lost. Your USB stick appears as a new device in the list. Take note of the device name of your USB stick. In this example, the device name of the USB stick is /dev/sdb. Yours might be different. If you are unsure about the device name, you should stop proceeding or you risk overwriting any hard disk on the system. Execute the following commands to copy the USB image that you downloaded earlier to the USB stick. If no error message is returned, Tails is being copied on the USB stick. The copy takes some time, generally a few minutes. The installation is complete after the command prompt reappears. Congratulations, you have installed Tails on your USB stick! You will now restart your computer on this USB stick. It can be a bit complicated, so good luck! But it might not work on your Mac model, so good luck! Open this page on your smartphone, tablet, or another computer (recommended). Print the rest of the instructions on paper. Shut down the computer while leaving the USB stick plugged in. Plug in the other Tails USB stick that you want to install upgrade from. 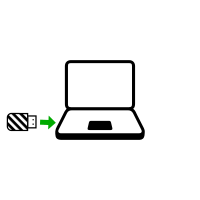 Unplug your Tails USB stick while leaving the intermediary USB stick plugged in. Immediately press-and-hold the Option key (Alt key) until a list of possible startup disks appears. If the computer starts on Tails, the Boot Loader Menu appears and Tails starts automatically after 4 seconds. Most computers do not start on Tails by default. If it does you are lucky. Otherwise, if the computer starts on Debian, Ubuntu, or Linux Mint Windows, Linux, Windows or Linux, refer to the troubleshooting section about Tails not starting at all. The following section applies if the Boot Loader Menu does not appear when starting on a USB stick. It is quite common for computers not to start automatically on a USB stick with Tails installed. Here are some troubleshooting techniques. You should try them one after the other. Make sure that the first USB stick is plugged in the computer. Immediately press several times the first potential boot menu key identified in step 3.
a. If a boot menu with a list of devices appears, select your USB stick and press Enter. Press-and-hold the potential boot menu key identified in step 3. Switch on the computer again while holding the potential boot menu key pressed. a. If the computer starts on another operating system or returns an error message, then shut down the computer again and repeat step 4 for all the potential boot menu keys identified in step 3. If none of the potential boot menu keys identified in step 3 work or if the USB stick does not appear in the list, then try the second troubleshooting technique described below. Similar problems might have been reported already for your model of computer in our list of known issues. You might need to edit the BIOS settings of the computer. In the BIOS settings, try to apply the following changes one by one and restart the computer after each change. Some changes might not apply to certain computer models. Take note of the changes that you apply to the BIOS settings, to be able to revert them if they prevent the computer to start on its usual operating system. Edit the Boot Order. 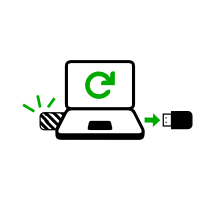 Depending on the computer model you might see an entry for removable devices or USB media. Move this entry to the top of the list to force the computer to try to start from the first USB stick before starting from the internal hard disk. Try to upgrade the BIOS to the latest version provided by the manufacturer. If none of these options work, we are sorry but you might not be able to use Tails on this computer. Which version of Tails are you trying to start? How did you verify the USB image? Which is the brand and model of the computer? What exactly happens when trying to start? Report the complete error message that appears on the screen, if any. dd on the command line? Note that these are the only supported installation methods. Have you been able to start Tails successfully on this computer before, from another USB stick or DVD, or with another version of Tails? If so, which ones? Does the same USB stick start successfully on other computers? If your computer fails to start on the USB stick, then it might currently be impossible to start Tails on your Mac model. After 30–60 seconds, another screen called Tails Greeter appears. If the computer display the error message Error starting GDM with your graphics card, refer to our list of known issues with graphics cards. 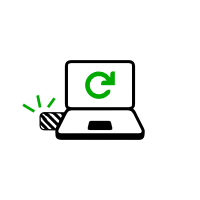 If the computer stops responding or displays other error messages before getting to Tails Greeter, refer to the troubleshooting section about Tails not starting entirely. The following section applies if the Boot Loader Menu appears but not Tails Greeter when starting Tails. Restart the computer on the first USB stick. In the Boot Loader Menu, choose the Troubleshooting Mode which might work better on some computers. 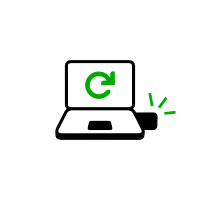 If the Troubleshooting Mode does not work better, restart the computer again on the first USB stick. In the Boot Loader Menu, press TAB. A command line with a list of boot options appears at the bottom of the screen. Press the Backspace key several times to remove the quiet option from the command line. If Tails previously failed to start and displayed the Probing EDD (edd=off to disable)... error, then type edd=off to add this option to the command line. Type debug nosplash to add these options to the command line. To start Tails, press Enter. Hopefully, error messages now appear when starting Tails. You can send them to our support team by email, for example by taking a picture of the last screen and error messages. If the error message is /bin/sh: can't access tty; job control turned off followed by (initramfs), then try removing the live-media=removable option from the boot command line. If removing live-media=removable allows you to start Tails, please report the problem to our support team. This contributes to improving the list of problematic USB sticks. Then try installing Tails on another USB stick. Removing the live-media=removable option might be dangerous. If an adversary had access to the computer and installed a malicious Tails on an internal hard disk, the computer might start on the malicious Tails instead of on the USB stick. In Tails Greeter, select your language and keyboard layout in the Language & Region section. Click Start Tails. 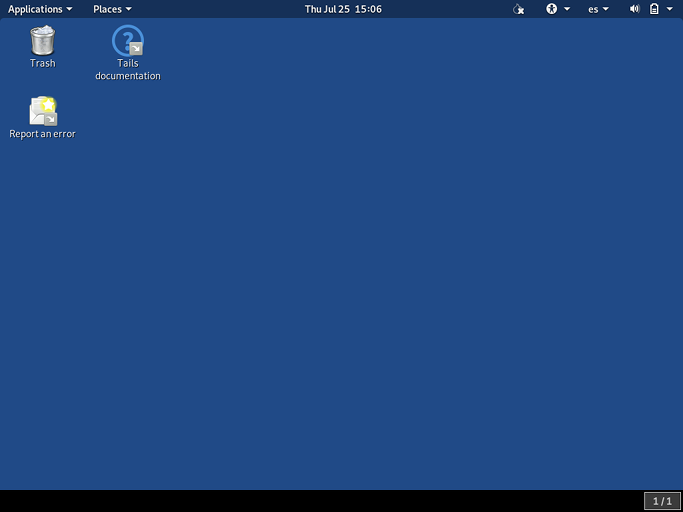 After 15–30 seconds, the Tails desktop appears. Choose Wi-Fi Not Connected and then Select Network. If you can already access the Internet, Tor is automatically started. 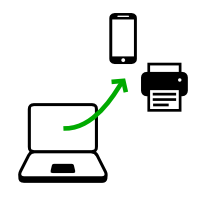 If you need to log in to a captive portal before being granted access to the Internet, see our documentation about logging in to captive portals. 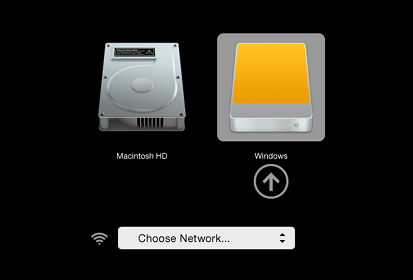 In this case, you can disable MAC spoofing to get your Wi-Fi interface to work in Tails. Disabling MAC spoofing has security implications, so read carefully our documentation about MAC spoofing before doing so. Use an Ethernet cable instead of Wi-Fi if possible. Wired interfaces work much more reliably than Wi-Fi in Tails. If you find another USB Wi-Fi adapter that works in Tails, please let us know. You can write to tails-testers@boum.org (public mailing list) or tails@boum.org (private email). Yay, you managed to start your new Tails on your computer! If you want to save some of your documents and configuration in an encrypted storage on your new Tails USB stick, follow our instructions until the end. Otherwise, have a look at our final recommendations. final recommendations. final recommendations. final recommendations. final recommendations. final recommendations. Remains available across separate working sessions. 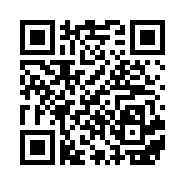 Is encrypted using a passphrase of your choice. The encrypted persistent storage is not hidden. An attacker in possession of the USB stick can know whether it has an encrypted persistent storage. Take into consideration that you can be forced or tricked to give out its passphrase. It is possible to open the encrypted persistent storage from other operating systems. 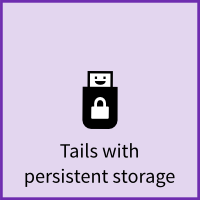 But, doing so might compromise the security provided by Tails. For example, image thumbnails might be created and saved by the other operating system. Or, the contents of files might be indexed by the other operating system. Other operating systems should probably not be trusted to handle sensitive information or leave no trace. Choose Applications ▸ Tails ▸ Configure persistent volume. Specify a passphrase of your choice in both the Passphrase and Verify Passphrase text boxes. We recommend choosing a long passphrase made of five to seven random words. Learn more. Wait for the creation to finish. The assistant shows a list of the possible persistence features. Each feature corresponds to a set of files or settings to be saved in the encrypted persistent storage. We recommend you to only activate the Personal Data persistence feature for the time being. You can activate more features later on according to your needs. Shut down the computer and restart on your new Tails USB stick. Select your language and keyboard layout in the Language & Region section. In the Encrypted Persistent Storage section, enter your passphrase and click Unlock to activate the encrypted persistent storage for the current working session. You can now save your personal files and working documents in the Persistent folder. To open the Persistent folder choose Places ▸ Persistent. You now have a complete Tails, congrats! Tails does not protect you from everything! Have a look at our warnings. If you face any problem, use the Report an error launcher on the Tails desktop or visit our support pages.